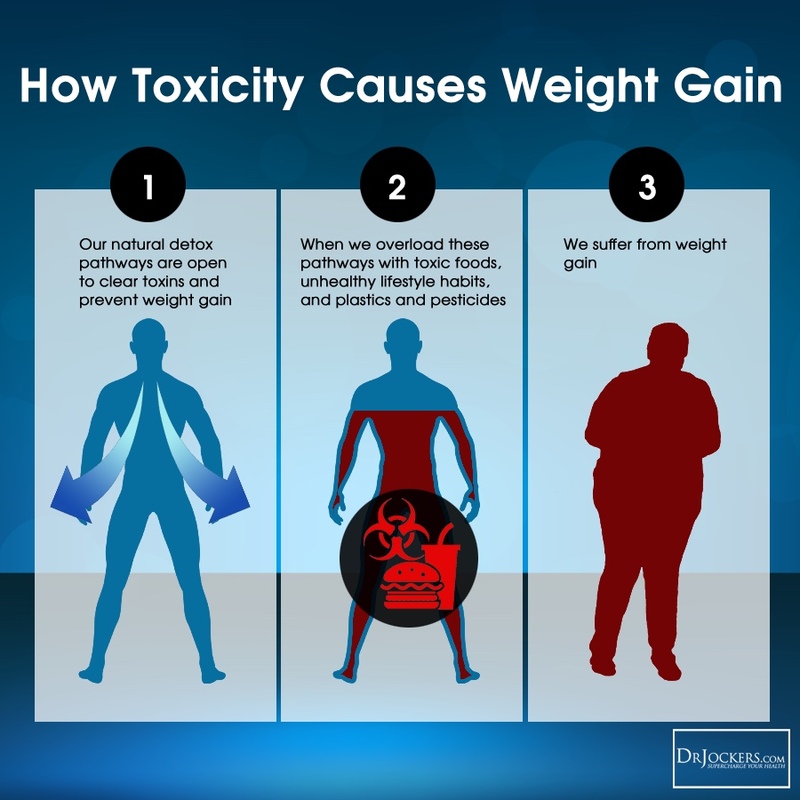 I decided to cover the subject of detoxing after my last article about the body’s lymph system retaining toxins resulting in weight gain and illness. In an article on detoxing by Dr. Jockers I found this diagram which further illustrates this weight gain. Later in the article I include a Video from Dr. Patric Quillin a Nutrition Specialist with a Ph.D Doctorate in Education, Nutrition, and Philosophy. His book Beating Cancer with Nutrition #1 Best Seller in Nutrition for Cancer Prevention. Dr. Jockers is a great resource in how the body functions. He also has his own line of products. I do not use his products, nor do I recommend his or anyone’s. I improved my health mostly by eating natural food and a hunt and peck form of research. My only recommendation is, before you jump into that green drink diet, or run off and join a spa or clinic, or start doing coffee enema and fasting, or purchase someones great probiotic and or detox program — Take a deep breath, count to 100 and simple slow down. Once you decide to take charge of your health, you have to learn to listen to your own body. You will know when it likes what you have eaten by how you good feel. if it doesn’t like it YOU DON’T FEEL SO GOOD. Your body is talking to you right now especially if you’re in pain, tired or not feeling very well. Stop fighting it, lose the Stress and focus about what you body is trying to telling you. Once I started on the road of eating healthier non-processed (plastic, toxic) food, I immediately noticed I began to feel stronger and a little better. As I continued my research I kept hearing the term Detox or Cleansing. I am happy to report I had gotten a little carried away and my vision wasn’t anywhere near to actual reality. In fact, detoxing is automatic. Once you give your body decent food filled with antioxidants. Antioxidants fight free radical damage resulting in fresh oxygen being returned to the sludge covered cells. You body starts removing the toxins on its own. 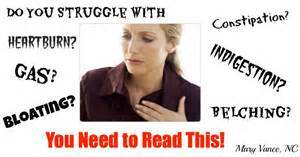 It now seems, you can’t hear much about a healthy lifestyle without hearing the words cleans, detox, diet, enema, fasting, probiotic, etc. . It is true ridding your body of toxins helps people look and feel younger with more energy and better health, but there seems to be something missing — something important. As with so much that happens with health care today, there is more concern about gaining profit then by anything close to health or the truth. With every article I found about detox, the web-site also had a product to sell. Before you jump into that green drink diet, or run off and join a spa or clinic, or start doing coffee enema and fasting, or purchase someones great detox program — Take a breath and simple slow down. You body needs food to rebuild its strength. If you don’t digest the food you do eat you wont absorb the nutrition you do take in no matter how healthy or unhealthy the food is or the bacteria count of the probiotic. If you have leaky gut for an example it doesn’t matter what you eat. If you are bloated, have a lot of gas illustrated by belching and you know about the other ends unmentionables sounds – then you are not digesting. First you need to repair and rebuild you digestive system. You do that a step at a time and very slowly. It took me years to build up toxins and it took me some time before I was actually digesting food. My body had started mysteriously gaining weight almost 15 to 20 years before I became so sick. At that time I was diagnosed with Spastic Colon, I did what the Doctor ordered which was to ignore it. Once I began to actually digest food, I was surprised to find that my body naturally started to detox on its own. To properly digest your stomach needs stomach acid. Taking antibiotics and antacids (acid blockers) rob your body of this acid. Your body needs a pH alkaline balance but you stomach needs a pH acid balance equivalent to battery acid, or it will not work, you will not digest your food and your body (mitochondria) won’t get the energy they need. Your mitochondria create energy not from the bacteria in an probiotic but from oxygen it gets in the air you breath. If the mitochondria are all covered with gunk they won’t get air. The only way to rebuild stomach acid is to quit taking things like antibiotics and antacids and simply start drinking plain water to wash these toxins out. I changed a few things like Step 1 and Step 5 became one step. I concentrated more on getting foods high in antioxidants and worried about if it was organic or not later. Rebuilding my digestive system was more important. Most of the food I ate I either grew myself or I bought from a local farmer at my local farmers market. I knew his food wasn’t overloaded with toxins. Put the fire out which is part of the rebuilding process. My digestive system was so bad, I had immediate pain with any attempts to detox. So, I found used things like coconut oil, Aloe Vera, and Bitter tasting food like lemons to calm my system and begin to digestion. Remove the Toxins around you. Get things made from real material like glass or cotton. and finally try to exercise no matter how much you hurt. Even sitting in a chair a stretch like a cat and try to stand. Flex those toxic ridden muscles loose. 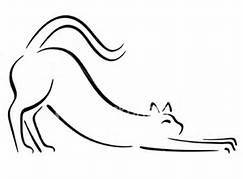 No four-minute mile SLOW DOWN and simply stretch. Yoga is a nice example but keep it simple and basic. Also don’t forget to breath deeply once in a while. Even Standing up and walking was painful. If you can Laugh out Loud find things funny and Laugh out loud. RD Registered Dietitian, CNB Certified Nutrition Specialist. Ph.D., Doctorate in Philosophy, Nutrition Education. Most of us face toxins on a daily basis. And often those toxins will build up in the body. Dr. Patrick Quillin discusses some of the basics of trying to rid your body of those toxins. Find out what some of the more simple ways of detoxing are. This is how to start detoxifying before you move on to more complicated methods! Once you have taken the first steps and started restoring our health especially you digestive system then you can start rebuilding the immune system using probiotic which is mostly done by eating fermented foods. Your system doesn’t absorb cold water. Cold water shrinks the cells preventing them from absorbing anything. I found drinking filtered tap water at room temperature worked well. A word about Filtering water, Your water company has to add Chlorine to the water that can be filtered out. Many also add Fluoride and that must be filtered out. Boiling water for 5 to 10 minutes removes Chlorine. Besides not knowing whats in bottled water — all bottled water has been pasteurized so all of Mother Natures gathering of minerals we are supposed to be drinking water for has been deionized and removed. In time you may graduate to adding some fresh lemon. That’s what is called using the “Bitter Principle”. To fight pain and inflammation, Increase you intake of antioxidants, I increased my intake of the saturated fat coconut oil. Coconut Oil is a natural anti-bacteria, anti fungal, anti-parasitic and anti-viral which strength your immune system. It is also an excellent source of anti-oxidants to help fight free radical damage and inflammation. I started by taking a tablespoon a day I also found the use of Aloe Vera invaluable in rebuilding the colon. Your immune system may need pro biotic bacteria, but you cells need oxygen first. Things like antioxidants help remove the toxic sludge allowing your cells to start breathing air (O2) again. From Dr. Jockes list I would add remove the toxins around you. Our world is loaded with toxins and you cannot get rid of them all. 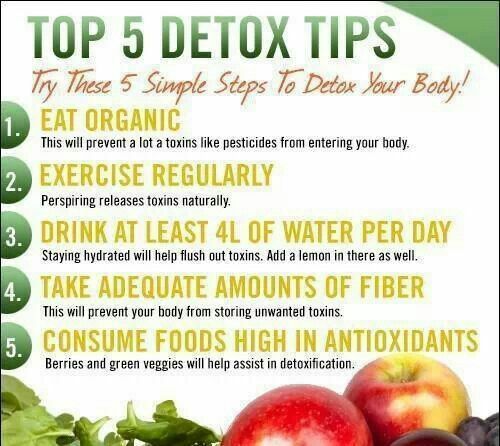 Slowly remove as many toxins as you can for they ultimately end up in your body. Start eliminating things like toxic cleaning products, open flames like cigarettes, and fireplaces. There are toxic chemicals in shampoos, soaps, lotions, and almost anything that has been man-made. Just about every thing uses glue, and the best glue is formaldehyde. Most household products uses glue and yep, it is also used in the Morgue, It is also a carcinogen. Read my article on using house plants to detox your home. This will get you started. 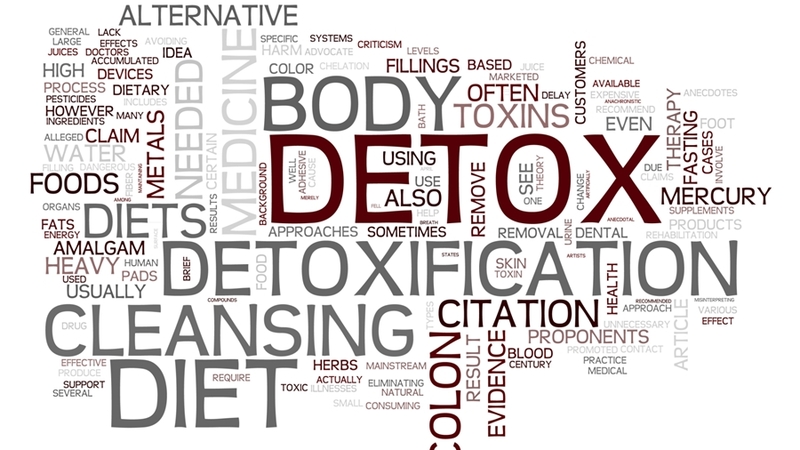 Detoxing can be complex and a great deal of time can be spent on it. So this isn’t the last word. There is more to examine especially a list of detoxing food, and herbs and areas of probiotics and fermentation. I do want to say something about die-off and some helpful hints I have gathered. Die Off – I was fighting Candida overgrowth and found when yeast or fungus cells are killed off they can release up to 79 different toxic substances into your blood stream resulting in your immune system having to fight the toxins all over again. Bentonite Clay – Comes from the Earth and can be mixed in water to form a paste. 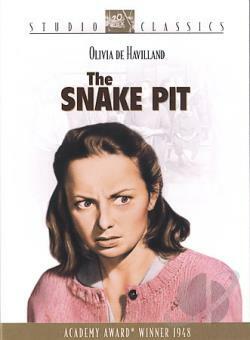 It is used for skin conditions like poison ivy or for facials to clean the pores, or to absorb orders. Bentonite Clay Liquid can be used internally as a colon cleanser. With its strong negative ionic charge, it attracts heavy metals, toxins, harmful bacteria and pesticides, removing them safely from the body in bulk off of cached colon walls. Whole Husk Psyllium – Psyllium is a form of fiber from the husks of a Plantago ovate plant. It is a bulk-forming laxative (natural), which means it helps absorb toxins and water during detoxing. I used the Organic product from Organic India. Just make sure you increase your water intake because Psyllium’s is very absorbent and will turn hard fast. The Detox Strategy Vibrant Health in 5 Easy Steps 2008 By Brenda Watson, C.N.C.